Fresh asparagus is always a delicious addition to your table; this recipe lets the asparagus take center stage as an incredible fresh and healthy salad that will work with just about any meal. 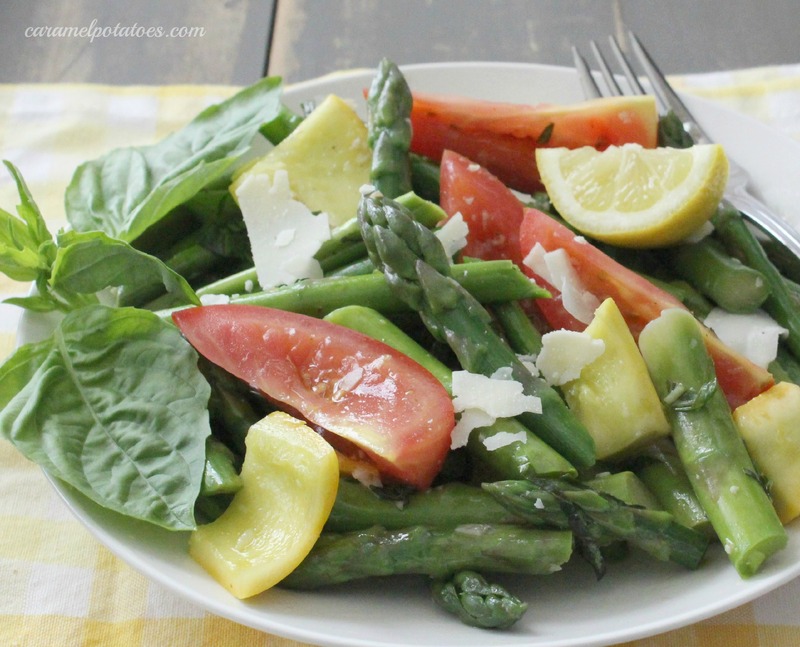 Crisp fresh asparagus mixed with yellow squash, tomatoes, and seasoned with olive oil, fresh basil, lemon and parmesan. The beautiful bright colors make it pretty enough to use as the centerpiece for your table! 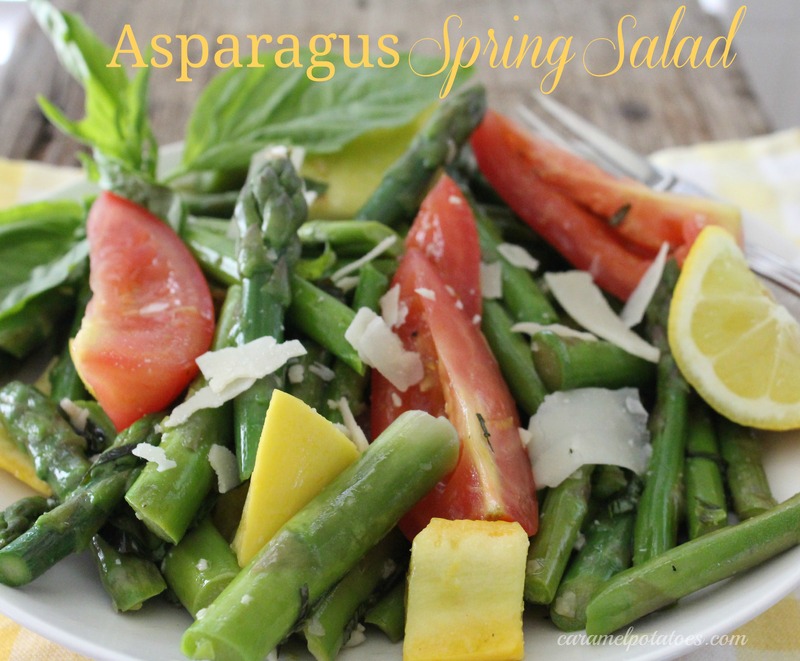 This fresh and delicious asparagus salad would be a beautiful addition to your Mother’s Day menu if you are cooking for Mom. A couple other good asparagus choices to consider: Roasted Asparagus and Goat Cheese Tarts or Shrimp Pasta Salad with Asparagus. If you need more Mother’s Day Menu inspiration, we recently put together a list of 101 Easter Recipes that would all be perfect for your Mother’s Day celebration. Blanch (place in a pot of boiling water) or steam the asparagus and squash – until just a little tender, but not overcooked (2-3 minutes). Remove to cold ice water to stop cooking and then drain thoroughly. When ready to serve, add sliced tomatoes to asparagus and squash. Toss with a drizzle of olive oil, then stir in a little minced garlic, some fresh basil, and lemon zest. Season with salt and lemon pepper to taste. Serve with fresh grated parmesan cheese. This looks so fresh and delicious. Love this! The T2 women are hosting a brand new link-up party TODAY at http://thet2women.com/welcome-to-one-sharendipity-place/ and we would love for you to come over and link up with us! What a great spring salad! Fresh & light! 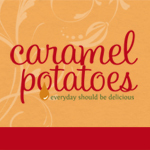 Thanks for sharing at Sweet & Savory Saturdays #12!